League Two side Barnet have signed Leicester City defender Alie Sesay on an 18-month deal. The 21-year-old Sierra Leone international came through Leicester's academy but has not made a first-team appearance for the Foxes. 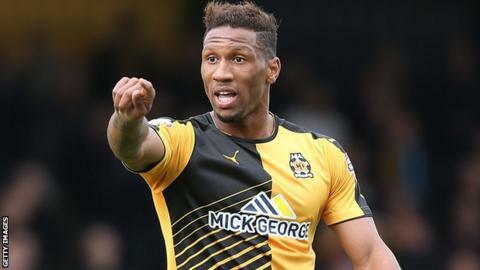 Sesay, who can play across the back four and in central midfield, has previously had loan spells at Colchester and Cambridge United. He is eligible to make his debut for the Bees against Carlisle on Saturday. Sesay becomes Barnet's third signing of the January transfer window, following the arrivals of Chris Hackett and Mark Randall on Thursday.